Kangseon Kim, as known as Sun Kim, started dancing at the age of 13 in an after school program. She started with break dancing, then found the style of popping, which she just fell in love with. 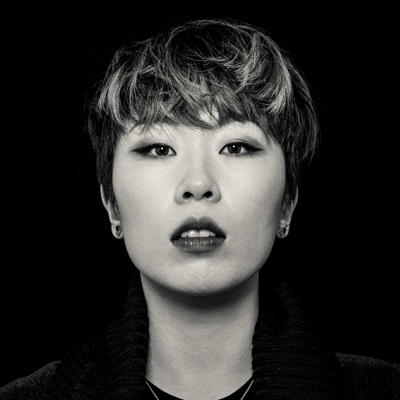 A few years later, she joined Sweety Boogie, one of the best female popping crews in Korea. Since she moved to New York, she has trained various styles of dance and focused on studying English. However, she kept battling, performing, and auditioning. She won several competitions such as Step Ya Game Up 2014, Book of styles 2014, Immortal Street Dance battle 2013, Style 4 Style 2012 and was the top 8 at UK B-Boy championship world final as USA popping representative. Also She has done Vitasoy soy milk commercial as a main dancer/actress, Olga Bell’s new music video, Randomness, and judged popping battle at Ladies of Hip-Hop festival. She also has taught popping at Princeton University and Kodachrome. Most recently, she has produced her own show, WHO YOU ARE and performed with 45Degrees/Cirque du Soleil at Stella Artois Hosts Le Savoir. Kangseon Kim, as known as Sun Kim, started dancing at the age of 13 in an after school program. She started with break dancing, then found the style of popping, which she just fell in love with. A few years later, she joined Sweety Boogie, one of the best female popping crews in Korea. Since she moved to New York, she has trained various styles of dance and focused on studying English. However, she kept battling, performing, and auditioning. She won several competitions such as Step Ya Game Up 2014, Book of styles 2014, Immortal Street Dance battle 2013, Style 4 Style 2012 and was the top 8 at UK B-Boy championship world final as USA popping representative. Also She has done Vitasoy soy milk commercial as a main dancer/actress, Olga Bell’s new music video, Randomness, and judged popping battle at Ladies of Hip-Hop festival. She also has taught popping at Princeton University and Kodachrome. Most recently, she has produced her own show, WHO YOU ARE and performed with 45Degrees/Cirque du Soleil at Stella Artois Hosts Le Savoir.